As decades go by, coffee drinking has been evolving into an art. The art of making and drinking coffee has evolved to enable even non-coffee drinkers to savor a cup of luxurious coffees every now and then. This magic bean has become a lifestyle necessity, as well as a welcoming treat. Coffee has become a routine fix in the morning for the daily commuter, and it is also the choice beverage to complement a wonderful dessert after dinner. Coffee bars and cafes, signature coffee franchises and street vendors—all provide some of the world’s best beans readily available for coffee drinkers on their way to work, school, or home. No longer are java junkies just drinking in the plain old black coffee. Coffee drinking has evolved to include an assortment of popular coffee variations. Here’s a look at the most popular coffee beverages available and how best to enjoy them. Strong black coffee is what espresso is. 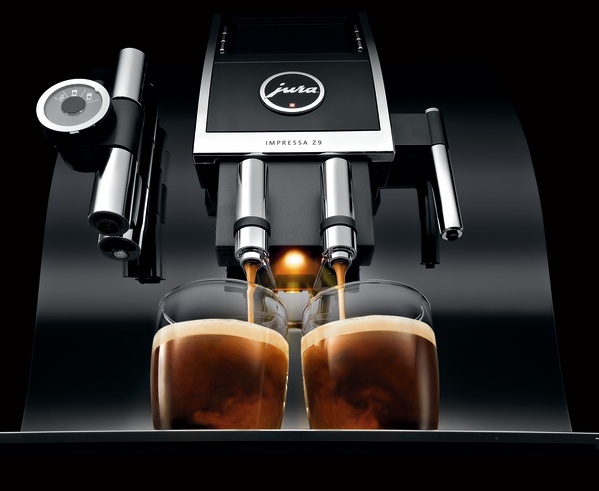 Made by forcing steam at high pressure through deep, dark-roast aromatic coffee beans via an espresso machine, espresso that is perfectly brewed will have a thick, golden brown crema or foam on its surface. When you put in sugar, the sugar will still float on the surface for a few seconds before dissipating to the bottom of the cup. Espresso forms the basis of other popular varieties of coffee, such as cappuccino. Coffee purists will claim sacrilege if anything else is added to the espresso, apart from sugar. Adding milk, marshmallows, liquor, or syrup is like adding coke to single malt whiskey. When drinking espresso, take it on its own, or with a cube of sugar. Long or short? A short espresso means it has less water, making it more concentrated. A long espresso uses more water and will not be as strong. You can also have your espresso with a dollop of steamed milk. This turns it into an espresso macchiato, macchiato meaning “stained” or “marked.” An espresso con panna is when whipped cream is added, whereas espresso correto (which means “corrected”) is an espresso that has some grappa, cognac, or Sambuca added it to. Cappuccino has become so popular that is a staple order for many coffee shops and cafes. Cappuccino is made by adding equal parts of steamed milk, milk froth, and espresso. Cappuccinos are considered a luxurious coffee variety and, if made properly, they double up as a dessert drink, thanks to their flavors and richness. Unsweetened cocoa powder is normally dusted at the top of the cappuccino froth. It is also common to have grated dark chocolate. There are several variations for cappuccino. Capscuro means cappuccino with less milk, whereas cappuccino chiaro means you want more milk. Skinny cappuccinos are made with either non-fat milk or skim milk, whereas iced cappuccino is cappuccino with ice, and it is a great summer drink to have. An Americano in its truest form is a single shot of espresso, with a cup of hot water added to it. The story goes that Americano originated as an insult to Americans who couldn’t take the espresso in its strongest form, and had to dilute it with water. Modern day coffee houses, however, have perfected the Americano, and now when you order it, you get a creamy, rich espresso-based coffee that can be sipped and savored in your own good time. When drinking Americano, many coffee connoisseurs recommend only adding sugar and minimizing the milk, so as not to compromise the flavor of the espresso. But, increasingly, people drink it how they would regular brewed coffee, with or without sugar and milk. For a hot day, iced Americano is the perfect drink with which to cool down. Café latte is another popular coffee variety. It is made with one single shot of espresso, coupled with three parts of steamed milk. Café lattes are great for dipping. Add in a little sugar and dip in your cookies, sponge cakes, and biscotti. Café lattes are a common choice as a breakfast beverage, and they are drunk mostly hot; but, on a hot day, iced café lattes provide a great alternative. Commonly prepared by combining espresso, caramel, and foamed milk, caramel macchiato is a summer favorite, especially when iced. Sugar is commonly added, but the caramel added is sweet enough for the drink—taste your drink before adding any sugar. Caramel macchiato is a very addictive drink because of the added caramel in it.